Become a high-tech detective of the outdoors as Ranger John Kochinskas teaches us how to geocache on Sept. 23 from 11 am – 12:30 pm on the Air Line Trail at the intersection of East Thompson Road and New Road in Thompson, CT. Participants should create a free account at www.geocaching.com to get the clues needed to find the geocaches (there is also a free smartphone app). A portable gps or a smartphone can be used to track the clues. Email Fran or call her at 860-774-3300 for more information. 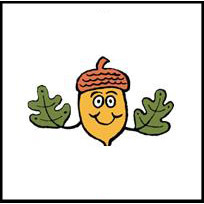 Acorn Adventures are sponsored by Putnam Bank.